Featuring the new Layton range from Vitra, its subtle and simple design brings a contemporary look to your bathroom. 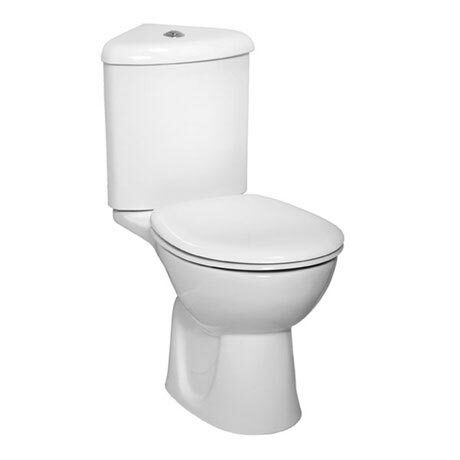 This corner close coupled toilet is ideal for bathrooms where space is limited and features an open backed design and is available with either a standard or soft close seat. It is made from vitreous china to give it a strong and durable body able to deal with the general wear and tear of the bathroom.